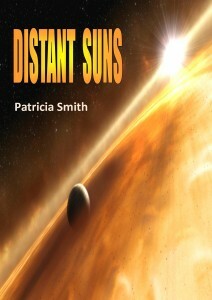 Patricia Smith: Bestselling eBook Author. A scientist’s ‘harmless’ tinkering, just before World War II, causes a catastrophic change of events which lead to nuclear war in the present. 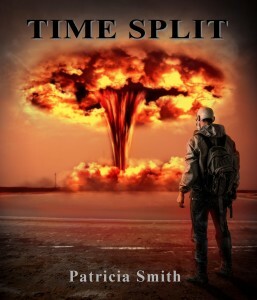 Time Split: The prologue and another chapter of Time Split are available to read on this site. A beautifully descriptive, action packed story about love, self-sacrifice and the desperate battle to avoid extinction on a dying world. A massive cloud of hydrogen is travelling through space on a collision course with Earth. At a high-ranking meeting two astronomers, Edward and Joseph, are sworn to secrecy when they reveal that in six months’ time, as the gas envelops the planet, it will turn the atmosphere into a fireball. Their beautiful young prodigy, the resourceful Lauren, is initially kept in the dark, but soon discovers the destination of the cloud when she calculates its route. Two months before its encounter with Earth, the gas is captured and absorbed by the planet Jupiter. They think they have avoided disaster, but you can be looking the wrong way when the end of the world sneaks up on you. 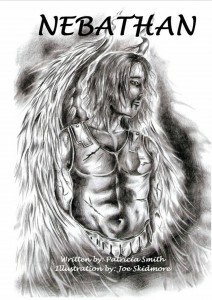 A sample chapter, which gives a better idea of how the novel unfolds, can be read on this site. 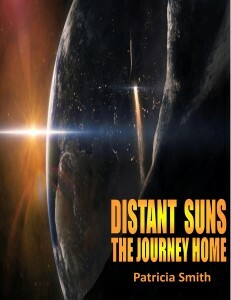 The action packed sequel to Distant Suns. The crew of the star ship, Terra, the last hope to avoid extinction for the human race, are nearly two years from the dying planet, Earth, when their four thousand year long journey, needed to reach the first possible habitable world, is unexpectedly halted. The woman crossed to the window and moved the blind aside to peer apprehensively outside. The sun had not risen yet – it would not rise for a few more hours – but still it was light. It was a strange sort of light. The sky was clear, not a cloud in sight, but the morning glow still possessed a dull, dreary luminosity. The reflected glare of the grey lunar landscape, full and low in the pre-dawn sky, had combined with the dazzling intensity of a small second sun, to lift the ether to a hazy azure. The once failed star Jupiter, no longer merely a brilliant celestial object, had officially gained sun status four years ago. Since then, its potency had grown until its presence was felt throughout the Solar System. It would never radiate enough heat to breathe life into neighbouring planets but, as an additional sun, it had proved to be a formidable force and anything but a blessing. It was light enough, she decided, for the task. Besides, Sol would rise in a couple of hours and if left until then, it would be too late. She replaced the blind against the frame, returning the room to darkness once again, before crossing to the door. The cool night air was already receding and the temperature starting to rise as she stepped outside. In a few more hours it would be uncomfortable and by midday quite deadly. She lifted a white scarf off her shoulders and draped it over her head as she scanned the road in both directions. There was not much danger to look out for, as little life remained. Only the burrow-dwelling insects – living off the carcasses of those that had fallen – and a number of small human communities endured. Amongst the last to go, they clung to life for as long as possible. The insects did not bother her, but the humans were a different matter. She moved away from the cabin and hurried across the plain towards the valley at the far side. Bones, baked in the unbridled sun, littered the landscape and the desiccated soil, now nothing more than clay and dust, was cracked and bare. On the horizon, the receding moon silhouetted the shadows of lost lives as it dipped behind the skeletal remains of a once majestic forest and to the right a deep depression marked the position of a lake, now dry and barren, its former fertility validated by the shrivelled husks strewn across the base. The woman stopped to catch her breath. The thin air made periods of exertion impossible and anything other than a casual walk was becoming increasingly difficult. Once recovered, she again checked she was not being followed before making her way to the edge of the valley and around the ravine. The cave was close by and shielded, from the top, by densely packed shrubs. She pushed against the branches then, as the dried withered leaves crumbled in her hand, slid between wood and rock until she slipped into the cool dark interior of the cliff. Every day she feared the worst and every day she was relieved to find they still had not been discovered. She dropped to her knees and checked the contents of the first. This small cavern, cut out of the rock thousands of years ago by wind and rain, provided the perfect environment for her water-gathering devices. The cave, slightly cooler than the outside air, accumulated moisture in the depths of night, which was then collected in small jugs beneath plastic sheets. A number of such devices scattered around the floor provided just enough water for the two of them to survive. She sat back and rested a moment before amassing her yield. The sharp corner of a folded sheet of paper, nestled inside her clothing like a baby in a pouch, pressed uncomfortably against a rib. She looked down and slipped her hand inside the fabric to retrieve the document. It had started to come apart some time ago and was now held together with a great deal of tape. It was yellow and frayed, and she only looked at it occasionally as a rare treat. Carefully, she opened out the sheet, as though it were the most pure gold, until it was spread across her lap. This was more valuable than gold, though, especially now, and she would kill to protect it, as it was all that remained of a decimated life. She looked down at the page and her heart leapt with joy as she soaked up the image of a young woman and a little boy beaming happily against a backdrop of stars. The photo had been transmitted from a long way away, over four billion miles, and she knew the pair would be even further away than that now – more than double. She brushed a finger over the boy. “Ben,” she whispered. Then as sadness began to swell, she sighed deeply, suppressing the emotion, before carefully folding the sheet and returning it to her clothing once again. A terrifying look at the world ravaged by an airborne Ebola virus. Six months into an experiment to prove self-sufficiency is possible at the bottom of the sea, a war breaks out and soon after the five hundred specialists lose contact with the surface. Palov Kilchinski stared the length of the room, his eyes fixed on the top of the stairs. Seconds earlier the whole world had seemed to momentarily jump and, as his senses tingled painfully on high-alert, an explosion followed by a rolling roar impacted the twin doors leading into the basement. Triggered by a sharp shot of adrenaline, his blinkered, tunnelled vision focused on the timber. As the wood visibly billowed, swelling and straining against the lock and hinges, Palov instinctively stepped away – but it did not crack and the frame held. Fine dust escaped the base as the doors shuddered back into their seating, ballooning down the stairs to amass in a slow moving eddy until a dense shard-filled fog blocked the exit. Escape was not Palov’s concern; nor were the alarms which warned the building was ablaze, or the screams of survivors from the floor above. He scanned the basement for structural damage. At the far end of the room two wide cracks had appeared. One snaked down the wall to almost floor level; the other ran the length of the concrete ceiling, splitting the basement in two. Mikile Brunev – the only other in the building who was privy to the true nature of the facility – crossed to a touch screen on the right of a heavily fortified metal door and studied the readings. Positioned at eye level it was equipped with a line of LEDs, all of which were mute – bar one. This single red light, glowing like a ripe autumn berry, indicated that the internal pressure within the chambers had fluctuated slightly. It happened from time to time and was not an automatic alert that something was faulty, since even a minuscule change would be registered. The noise upstairs intensified as the search for survivors began. Muffled calls, stifled by the basement’s extraordinarily thick walls, intermingled with screams when limbs were released and the injured moved. Equipment, upended then dropped, loosened more dust from the ceiling and widened the fracture further. The two men, focusing on their task, were oblivious to the chaos above. Mikile entered a string of commands on the screen. He hoped to balance the pressure and extinguish the LED, but instead it seemed to have an adverse effect when a second diode began to glow, followed immediately by a third. He looked over his shoulder. “There are three lights on,” he gasped. By now Palov could see for himself the string of pulsating red beads that adorned the safety panel and, as his self-preservation shut down, his thoughts went immediately to his family and loved ones. He knew what had to be done and it had to be done fast. Prompted into action, he crossed the room to the phone. Mikile was also ex-army and it was only discipline that kept him going now. Tearing his eyes away from the safety panel, he grabbed an Uzi and two spare clips from a cupboard then hurried towards the stairs. 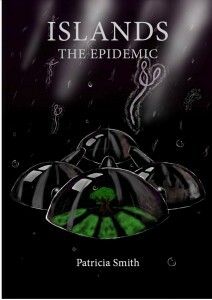 I have also released two short stories of the paranormal nature.